I just found out that today (March 6) is the birthday of the late, great Bob Wills. Now, I’m not about to let the 111th anniversary of the day that such a hero of Texas’ music was brought into this world fall by the wayside, so I’ve hastily put together this tribute. What better way to pay respects to the King of Western Swing than with one of his most famous records. James Robert Wills was born near Kosse, Texas, where he picked cotton on the family farm and learned to play the fiddle and mandolin, following in his father’s footsteps, who was the champion fiddler of the state of Texas. The Wills later relocated to a farm near the little town of Turkey, Texas, which now bills itself as Wills’ home. At sixteen, Bob hopped a freight train and left home to become a professional entertainer, but returned home in his twenties to become a barber. 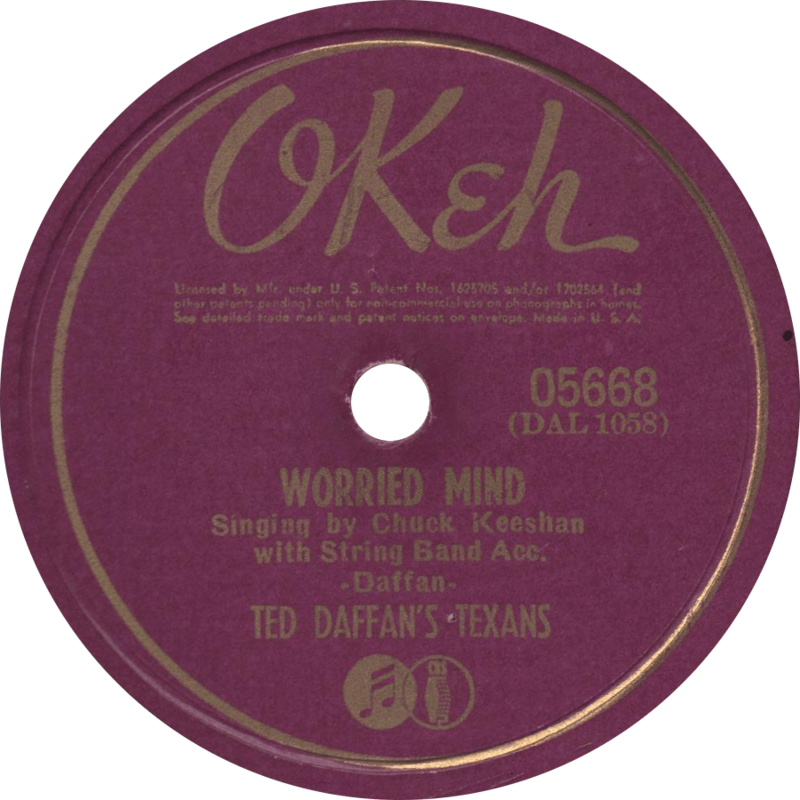 In Fort Worth, Wills added the blues to his repertoire, and made his first recordings in Dallas with Herman Arnspiger in 1929, though they were not issued. Wills cut his first issued record in Dallas in 1932 with the Light Crust Doughboys, featuring Milton Brown’s vocals. In the early 1930s Bob Wills formed his famous Texas Playboys and toured the nation, becoming one of the leading music stars of the era, and an originator of the western swing genre. Wills continued to perform until a stroke in 1969, despite the diminishing popularity of western swing. Wills died May 13, 1975 in Fort Worth, Texas. He is honored every year with the annual Bob Wills Fiddle Festival and Contest in Greenville, Texas. 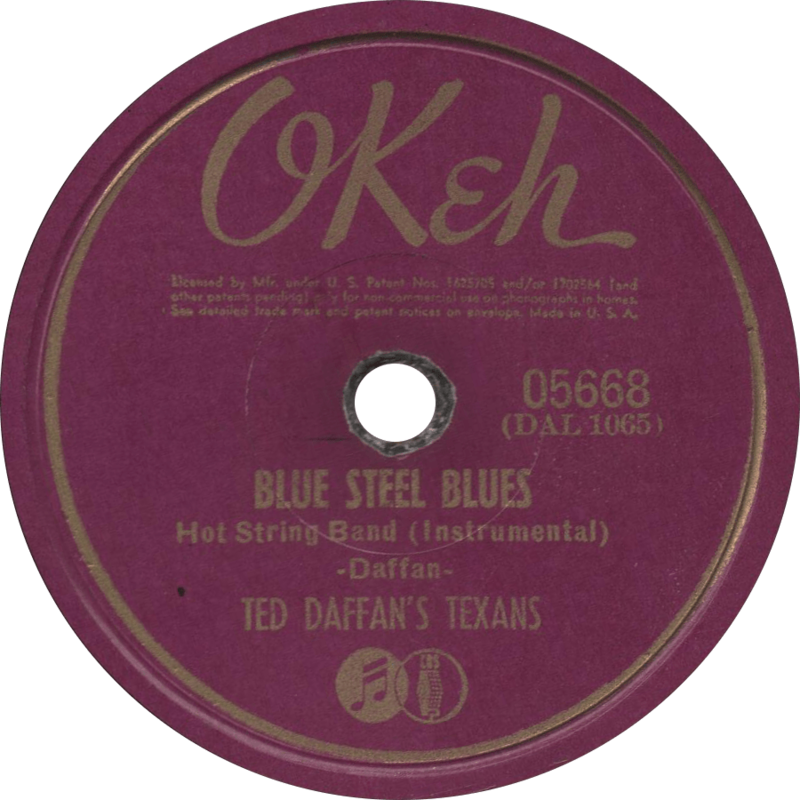 Okeh 05694 was recorded April 16, 1940 at the Burrus Mill in Saginaw, Texas (near Dallas, which is indicated by the matrix numbers with a “DAL” prefix”). 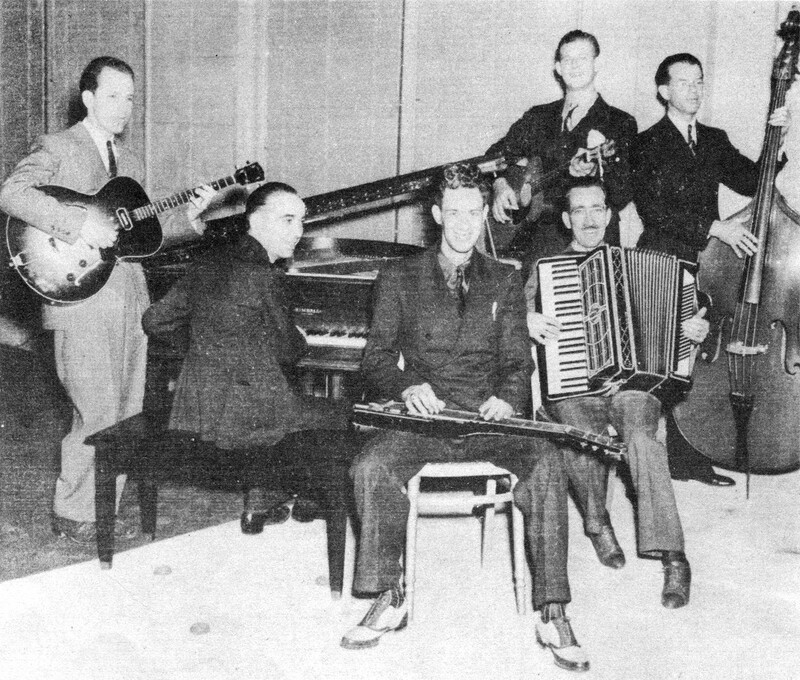 The Texas Playboys consist of Bob Wills, Jesse Ashlock, and Lewis Fierney on fiddles, Herman Arnspiger and Eldon Shamblin on guitars, Leon McAuliffe on steel guitar, Johnnie Lee Wills on banjo, Son Lansford on bass, Al Stricklin on piano, and Smokey Dacus on drums. We heard a few of those musicians with the Light Crust Doughboys seven years prior to this record. Tommy Duncan sings the vocal on the famous “New San Antonio Rose”. The old “San Antonio Rose” was just an instrumental of the same tune. 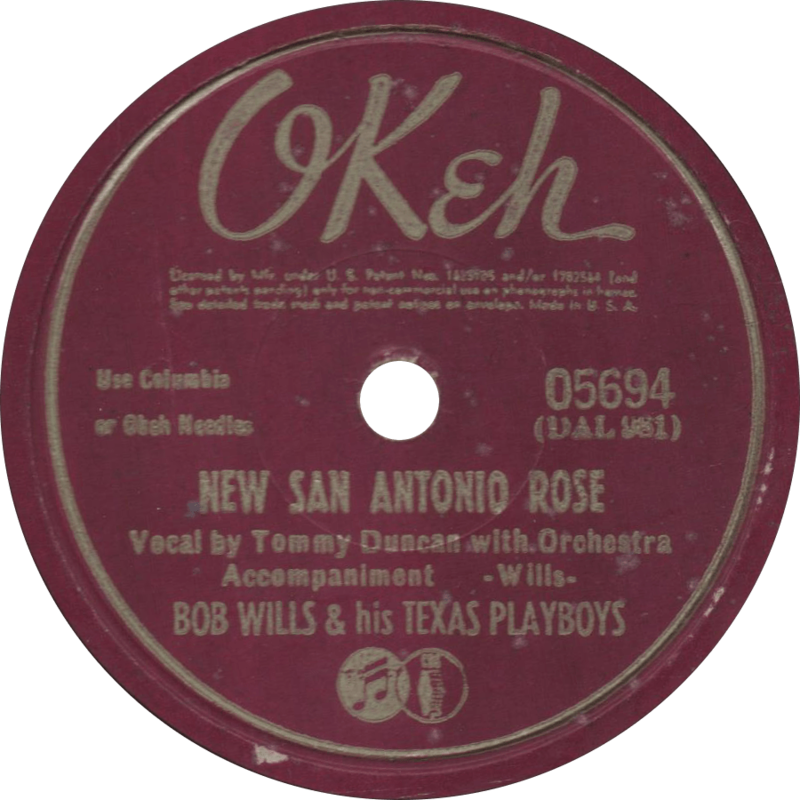 New San Antonio Rose, recorded April 16, 1940 by Bob Wills and his Texas Playboys. Bob takes the fiddle on the eponymous “Bob Wills’ Special”, a low-down old fashioned western swing riddled with those hollers that Wills specialized in. 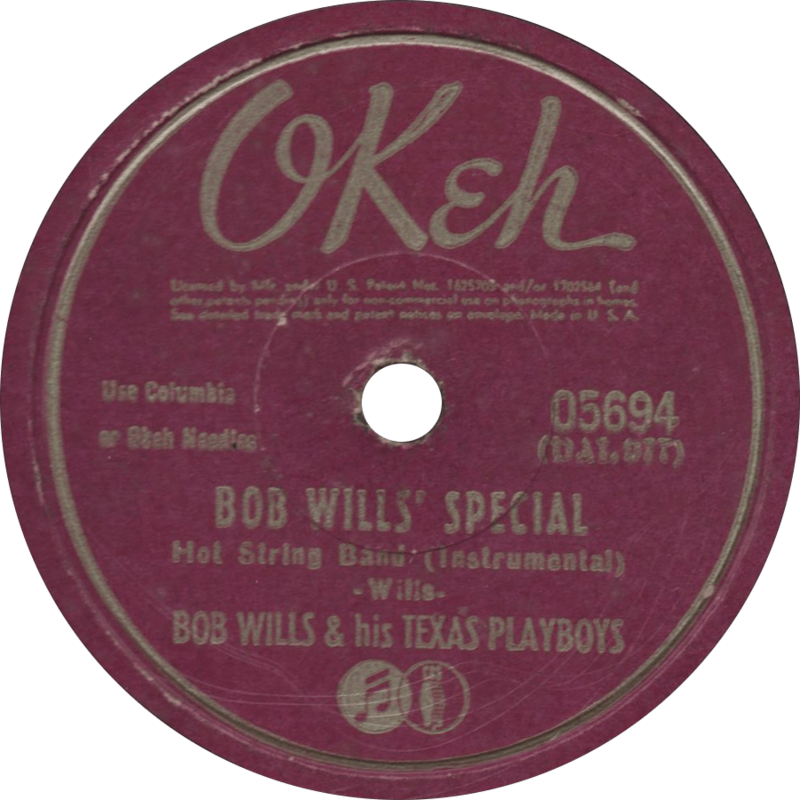 Bob Wills’ Special, recorded April 16, 1940 by Bob Wills and his Texas Playboys. Sunny smilers we must be, the optimist asserts. Let’s hang the fat-head to a tree! Cheer up, smile, nertz!